Building a Custom Home in Greater Colorado Springs? this information might be exactly what you have been looking for. When building a custom home in Colorado Springs, I’d like to propose that you consider enlisting the help of a Realtor specializing in custom home consultation. Why? Because this is a complex process that you really only have one shot at getting right. From land to contracts, selections to the construction and beyond, why walk this path alone? Particularly when having me at your side costs you nothing. I take the unknowns and guesswork out of the picture for your custom building experience by partnering with you from day one. I can’t overemphasize how important this is – often early knowledge on the part of the custom home buyer makes the difference between deciding to build or deciding against due to incomplete facts. We start by sitting down in a no-stress environment to discuss the project that you have in mind: the desired home, lot or land, and provisions for animals such as horses. Most importantly, I discover the Colorado Springs lifestyle you want to experience. I also ask about the style of home as well as specific customizations you have in mind. 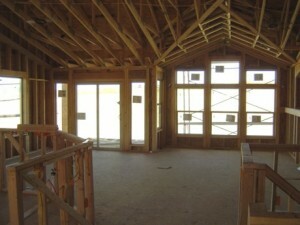 Do you already have a set of plans for your El Paso county custom home, or will you need an architect? We discuss financing options, which can be complex these days, and we also consider your budget in the context of what you want to build. I can be pretty helpful with realistic numbers, and can really give you a lot of insight in seeing how the costs all work together. While this is not a quote, it is a critical strategy in being able to move forward to the next phase in a lower-stress manner. This knowledge can literally save you months of needless frustration on your custom home in Greater Colorado Springs. If you don’t have the budget for the stated home, we’ll find a builder and a different path to make your dream happen, if humanly possible. Either way, it pays to know at this stage! The custom home experience all starts with the setting and location. If you are unfamiliar with the Colorado Springs area (and even if you are familiar), I make initial recommendations about communities, lots I know of, and the best possible fit for the lifestyle and home you are envisioning. Painting with a broad brush, we might discuss a full custom home in a golf course community in Monument or a Tuscan Bungalow in a luxury community. How about a private custom ranch style home on acreage in the pine trees? The dream is accelerated not just by specifics, but also a plan for bringing it to life. If you already own land in the Colorado Springs area, I can still help in ways you might not have considered. This includes vetting builders, analyzing the end value of your project, and consulting on loans. If you are just getting ready to buy the land, you should seriously consider calling me before signing anything. You are at a critical phase where it is very easy to make uninformed decisions that can really cost you later and even derail your entire project. Just because a listing agent is on the other side of the deal, does not mean that your interests are protected. Example: Buying a piece of land with hydrology or soil problems can wreck the whole budget right out of the box. Is it ultimately buildable land? Probably. Does it make sense to write way bigger checks than planned? Not so much. I begin to locate the right land or lot in Black Forest, Monument or Northeast Colorado Springs. We prepare a tour for you so that we can review those initial land choices. 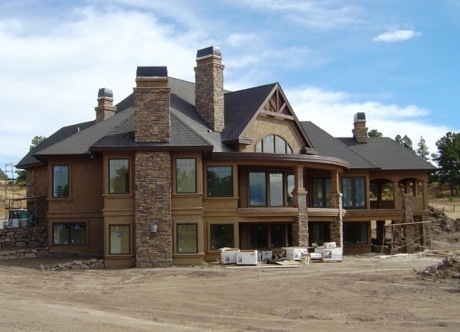 I recommend Colorado Springs builders for you to interview, seeking those most compatible for your particular custom home project. I prepare our recommendations of architects best suited to your needs. In some instances, I may be able to suggest a pre-drawn set of plans as the starting point for your new home, and customize from there if required. This can save you money depending on various factors. After our initial research, we meet again within a matter of days to present what we have discovered and prepared for you. Land Search: Search Colorado Springs land listings for all El Paso County. To be continued in Part Two. If you can’t wait, just give me a call and we can review the rest of the process over the phone or in person. Of course, there’s no obligation and never a charge. 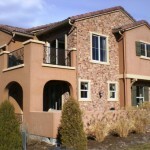 You owe it to yourself to put experience on your side in Colorado Springs when building your new custom home. Even if you have built before, considering a custom home is a totally different rodeo these days. Fortunately, custom building representation is a key area of expertise for me. Most Realtors just can’t say that. The beauty is, the cost to you is nothing. My commission is paid by the custom builder and is already included in that builder’s marketing budget. In fact, due to the complexity sometimes encountered in the process, builders actually seek out and encourage experienced Realtors to facilitate the sale of their homes. In other words, we help things go more smoothly. So why not get help from a professional agent early in your journey? 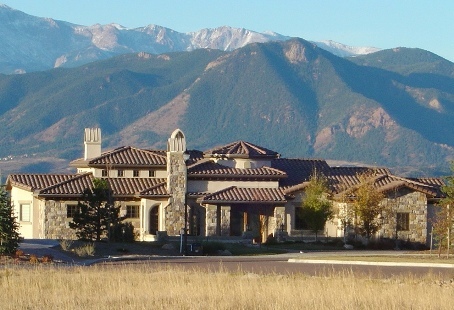 Colorado Springs is the second-largest city in Colorado and encompasses many distinct areas offering unique choices in land, features and various settings for your custom home. The El Paso County region also has many custom builders to choose from. So how do you get started along the path that leads to that beautiful custom home close to Colorado Springs, or up in the Monument and Black Forest areas? Should you consider the many wonderful communities such as Flying Horse or High Forest in the pristine Highway 83 area? Greg Tomlinson: expert in helping to make your custom home dream a reality, in Northeast El Paso County, Colorado Springs, Monument or Black Forest.